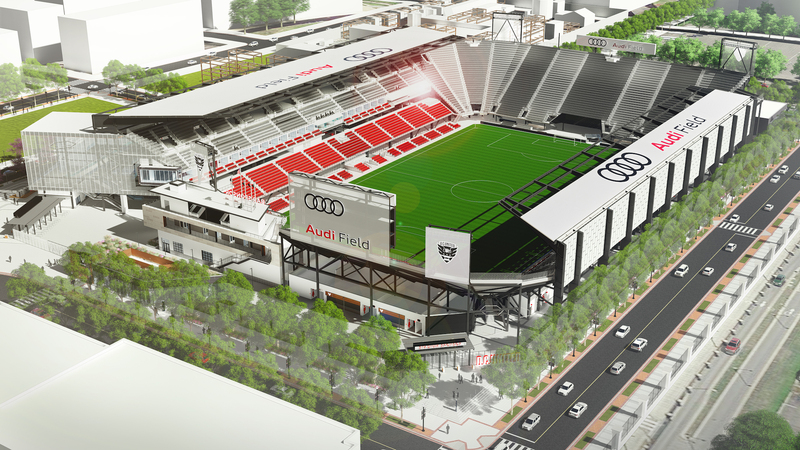 Plans for a new 20,000 seat stadium for the DC United soccer team required additional investment. DC PACE enabled the team to resolve a financial challenge by enhancing money-saving green measures, including water, stormwater, energy efficiency, and solar energy systems. DC United worked with DC PACE to integrate $25 million of PACE financing into the $300 million stadiumproject. PACE unlocked additional funds to green the stadium to LEED Gold standards, incorporating integrated solar, LED field lighting, and aggressive stormwater management measures. As of June 2017, the project marks the nation’s largest PACE financing by a single lender, and the first use of PACE for a stadium project. Improvements are expected to reduce energy use by 25%. 884 kW solar system, high efficiency HVAC systems, LED field lighting, insulation, site stormwater conservation, green roof, low flow fixtures.